I receive emails on a daily basis asking me “Where can I buy an insole that supports my arches in cleats?”. I have tried all styles and brands of insoles from $20-$120 and many just did not fit properly in my soccer/football cleats. I have sifted through and taken the time to create a list of the best 5 inserts for cleats, so that others can have an easier time finding the right pair for their shoes. After testing the Soul Insole in a variety of cleats, I can now recommend them as the best replacement insole I have tested. Their size is key in not changing the way that the shoes fit. The support is excellent. 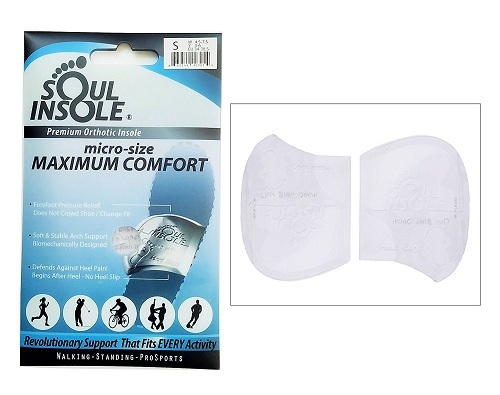 I actually was experiencing some pain from plantar fascitis and with these insoles, no pain! The Shoe Bubbles have an adhesive backing that sticks securely in the shoes. You can move them from your soccer cleats to your daily shoes to your sandals. If they get dirty, it is simple to wash them clean. Once dry, the adhesive renews. If you are on the smaller end of the size range, I would recommend getting one size smaller for soccer cleats so that you don’t have too much support. The insoles form to the shoes and soccer shoes have a narrow midfoot region which increases the feeling of support that these give. They take a little bit of time to get used to the feeling of support but after a couple weeks they really made a difference in reducing my foot pain. The insoles are fairly thin and supportive. They fit fairly well into my soccer cleats after removing the original liner. I just needed to trim the front a little. They’ve got some cushioning and impact absorption. Definitely recommend these for a full length orthotic. This insoles has different choices for high, low and medium arch heights. It is fairly slim fitting so I did not need to trim them to fit into my shoes. They were comfortable with plenty of arch support. The materials can compress over time and the cushioning didn’t last more than 1 season. These add nice cushioning and some much needed support. The cushioning can take up space in the cleats but if you have a narrow foot, it might not be an issue. I trimmed the front toe area to fit these into my cleats. For me they felt comfy and fit pretty well, but they raised my heel up in the cleat, leaving my heels slightly slipping out of the heel cup. These insoles were fairly slim fitting with some nice cushioning to begin with. I had to trim them to fit into my shoes and they didn’t make the shoes too tight after trimming. They don’t have much of any support, but the cushioning felt pretty nice for the first month or so. The material compresses over time and then they need replacing. They do the trick if all you need is something to replace your existing insoles and you don’t have any serious foot problems. Liverpool beat Crystal Palace by 2 goals to Nil to strengthen their hopes of a title charge this season. 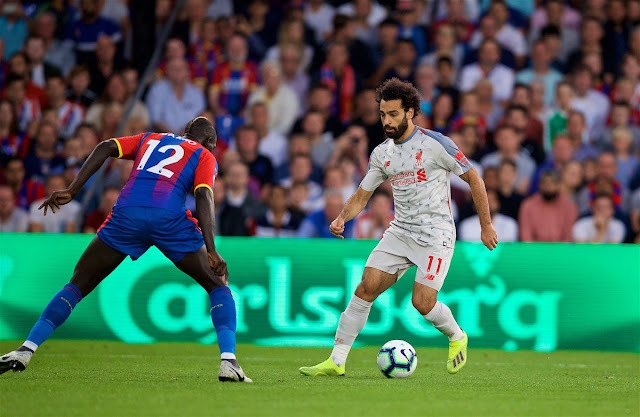 Despite the fact that recollections of sensational breakdown infested the development to the Reds' outing to south London, Jurgen Klopp's side touched base on the back of three continuous triumphs at Selhurst. Besides, floated by a 4-0 prevail upon West Ham and an eight-dawn at Melwood, Liverpool took to the field with an unaltered lineup. 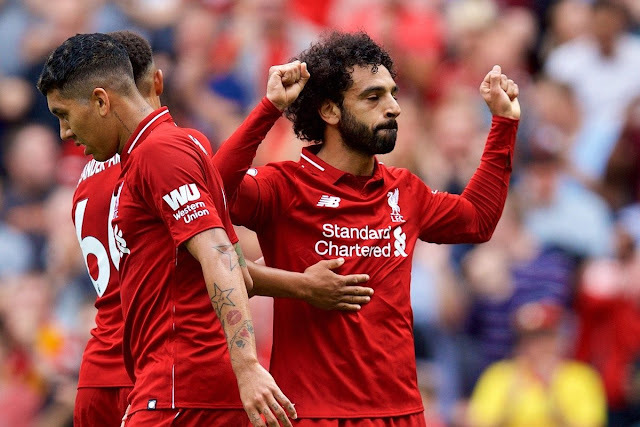 This implied the amazing midfield unit of Georginio Wijnaldum, James Milner and Naby Keita were held, offering help for the imperious Mohamed Salah, Sadio Mane and Roberto Firmino. With their title rivals, Man City, whipping Huddersfield Town the day preceding, the weight was on to anchor another three focuses, and they coolly took care of business. Donning white, the guests connected weight right off the bat, with Keita's supply line to the front three especially amazing, however Mamadou Sakho filled in as a steely nearness at the back. A misstep from the ex-Liverpool focus back nearly gave them an opening on 19 minutes, notwithstanding, yet Salah was shut down before he could escape. Unadulterated splendor from Keita ought to have made the Reds' first, yet in the wake of turning into space in the left-back position and playing an inch-idealize long ball for Salah the Egyptian King neglected to hang it over Wayne Hennessey. At that point a slip by from Liverpool's new No. 8 yielded ownership to Andros Townsend in an unsafe territory, with the Palace winger hitting the bar in a near disaster. The Eagles meant to play wide to Wilfried Zaha at whatever point conceivable, however the joined endeavors of Joe Gomez and Trent Alexander-Arnold smothered their key man—with Christian Benteke recognizably drowsy. Another blessing from Sakho gave Liverpool their opener on the cusp of half-time, cutting down Salah in the container, with Milner venturing up to change over. Minutes after kickoff in the second half Salah nearly scored another, with Andy Robertson threading him through marginally past the point of no return on the break, before Keita cushioned the subsequent reduction. A major spare from Alisson to deny Luka Milivojevic's free-kick drew a clench hand pump from Klopp, with the Brazilian noteworthy both in shot-ceasing and, all the more along these lines, his immaculate appropriation. The presentation of Jordan Henderson with 25 minutes to play underscored the quality on Liverpool's seat, and enabled Wijnaldum to advance to give ghosting keeps running from profound. With official Michael Oliver in the thick of the activity all through, he had a major call to make when the generally great Aaron Wan-Bissaka cut down Salah when through on objective—properly sending off the adolescent. Furthermore, the numbers game paid off as Mane got a late pioneer, after another fine break from a Palace corner, winning another essential triumph. The Reds lost many points last season from winning positions but with this game, it seems like they're on the right track to win many more points this season. Liverpool have agreed a fee for Stoke City and Switzerland winger Xherdan Shaqiri, with the player having his medical on Friday. The Reds have effectively marked Naby Keita and Fabinho this late spring, while their endeavors to anchor an arrangement for Lyon commander Nabil Fekir slowed down in June because of wellness concerns. 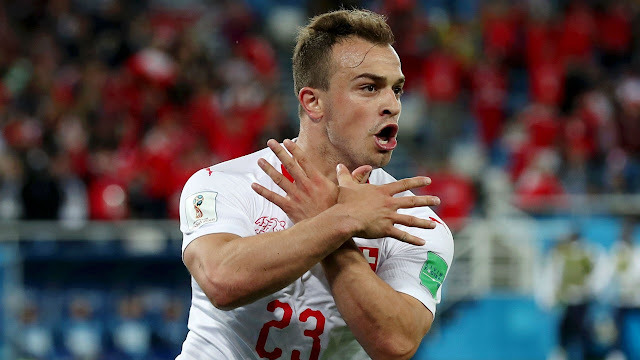 While a move for Fekir could even now be restored, Jurgen Klopp's side have hoped to advance quickly in attracting Shaqiri to Anfield. As per the Telegraph's John Percy, The Echo's James Pearce,Goal's Melissa Reddy and Paul Joyce, this has seen Liverpool consent to pay the 26-year-old's discharge condition, accepted to be worth around £13.75 million. Percy claims Shaqiri is currently due for a restorative on Friday, and giving there are no issues he will be revealed as the club's third fresh debut in the blink of an eye. Liverpool would give the Swiss another chance to set up himself at a best level club, having battled for circumstances at both Bayern Munich and Inter Milan. He discovered his feet at Stoke, however was before long left drudging on a sinking ship, beating the Potters' goalscoring and help influencing outlines to last season with eight and seven individually. In spite of the fact that Shaqiri won't join Klopp's squad as a first-decision winger, he will give quality cover to Sadio Mane and Mohamed Salah. Their wellness was generally solid in 2017/18, yet the administrator has recognized the requirement for fortifications out wide, especially if the Reds are to challenge for the Premier League title. Shaqiri wears the No. 23 for Switzerland, and could well receive the shirt abandoned by Emre Can on his turn to Juventus this late spring. 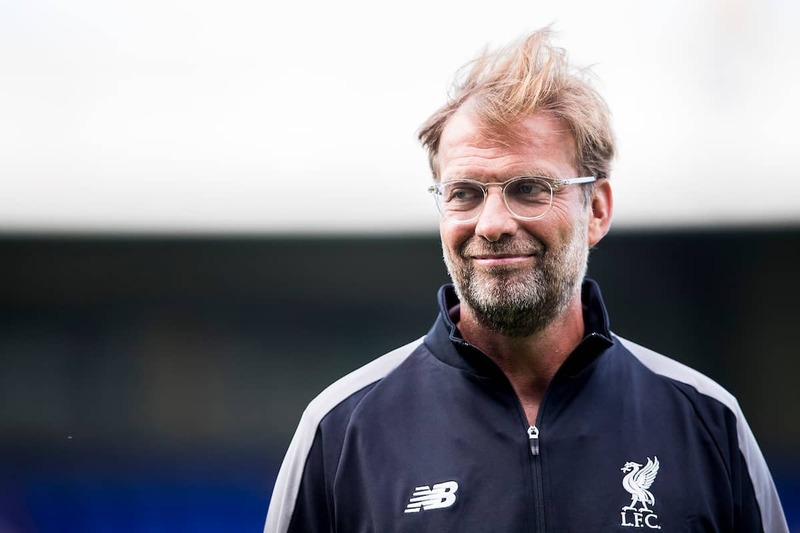 Liverpool beat Tranmere Rovers in their 2nd friendly of the pre-season, but the game was overshadowed by another mistake from goalkeeper Loris Karius. Jurgen Klopp's side taken off into the Birkenhead sun wearing their new purple away pack, with the administrator handling another improvised side as Adam Lallana wore the commander's armband. It took only seven-and-a-half minutes for the guests to break the gridlock, with Sheyi Ojo's diligence down the correct flank permitting Rafa Camacho to slice inside and fire home to make it 1-0. Ojo added to the scoresheet himself just before the half-hour, getting the ball on the wing, toying with Mark Ellis and driving low past goalkeeper Scott Davies from a tight point. The Reds' third came following a scramble in the punishment zone, with the amazing Andy Robertson in the end backheeling towards Lallana who put his foot through it and into the back of the net. Ryan Kent and Dominic Solanke joined for a late open door that was spurned by a fine handle, in what could turn out to be a fitting depiction of the twosome's prospects. Klopp rolled out 11 improvements at the break, with Harry Wilson taking up his situation on the privilege of a 4-2-2-2 on the back of marking another five-year contract with the Reds. Loris Karius was given an essence of things to come when a standard catch was met with unexpected cheers, and the effect was pounded home promptly as he shanked his endeavored pass. Following Solanke's lead from the primary half, Divock Origi kept on battling before objective, impacting an exertion high and wide in the wake of being encouraged through on the right-hand side of the case. Also, Liverpool yielded before long, with Karius spilling a free-kick from Ollie Norburn, enabling Jonny Smith to development and diminish the deficiency in a remorseless blow for the No. 1. Karius was less to blame for Tranmere's second, with Pedro Chirivella's poor back-pass permitting Amadou Soukouna through to make it 3-2. Having been condemning of his side's show in the principal half at Chester, Klopp will have been baffled after half-time at Prenton Park, as his adjusted side neglected to discover any cadence. Liverpool steamrolled Chester 7-0 in their first pre-season game of the season. The primary half observed Jurgen Klopp's side line up in a 4-2-3-1 arrangement, with Ben Woodburn in a midfield part nearby new addition Fabinho. Harry Wilson arranged on the right, with youth Curtis Jones on the left and Dominic Solanke focal behind Divock Origi. Joe Gomez got a keep running in his favored focus back part close by Nathaniel Phillips. Liverpool overwhelmed generally in the sweltering conditions and Wilson specifically looked great. It was the Welsh winger who opened the scoring with a short proximity tap in after Alberto Moreno's run and shot down the left. What's more, Wilson made it 2-0 just before half-time, again tapping home from short proximity. Half-time saw the hotly anticipated presentation of new marking Naby Keita, with the midfielder arranging close by James Milner as the Reds kept a comparable shape to the initial 45. There was an early objective as Daniel Sturridge played a pleasant through ball for Sheyi Ojo and he was cut down when endeavoring to round the 'attendant. Milner dispatched the spot-kick to make it 3-0. It was 4-0 not long after as Sturridge got himself on the scoresheet with a decent wrap up. 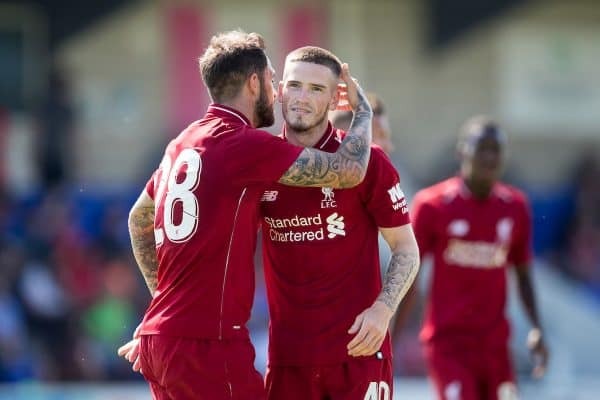 What's more, as news sifted around of England taking a 2-0 lead in Russia, Ryan Kent included a fifth for Liverpool. As you'd expect, the Reds controlled the game, particularly as the home side tired in the warmth and Danny Ings included a 6th with a decent complete from eight yards. Keita developed into the game and demonstrated some decent contacts and great handling capacity, while Roberton and Milner looked sharp and in great wellness. The safeguard was infrequently tried in the second half particularly, so next to no chance to survey Danny Ward. Sturridge included a seventh late with a beautiful complete from the edge of the container. Finding football tips that you’d be tempted to bet on can be frustrating, and it’s not helped by the sheer number of websites which offer their own recommended bets and predictions, but it’s reasonably easy to work out the difference between a good tip and a bad one. Football betting is by far one of the most celebrated methods of gambling, so working out who to trust for free tips is more important than you might realise. Identifying a handful of attributes to look out for in the tips you get behind is the best way to go, as you’ll at least be able to sort out what makes up the sorts of tips that you feel are worth getting involved with. These sorts of characteristics can be hard to work out, especially if you’re still adjusting to betting. Oddschanger are a good site to visit as they offer free football betting tips , as well as advice on how to bet on football markets. What does a good football tip look like? Any football tip that’s worth betting on will be backed up by evidence proving that what you’re backing is likely to go a specific way. This can be done by looking into the current form and past results of the teams or players you’re betting on and anything else that could be an indication of the outcome. Things like player availability, previous results between two sides, or a record for scoring goals against a specific team if you’re betting on an Anytime Goalscorer of First Goalscorer bet can also play a part in determining what is likely to happen. 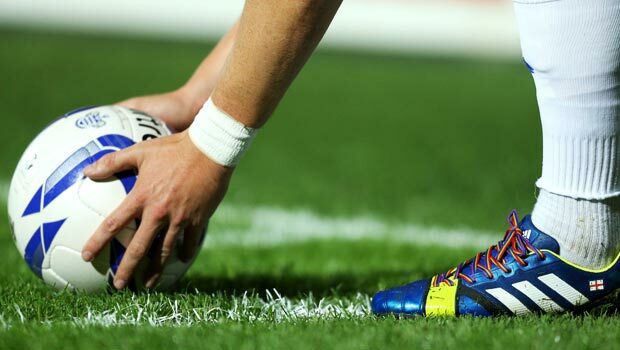 Bookmaker odds are always an important part of the tips you’re betting on but the prices of bets you’re backing will always depend on the sort of bet it is. If you’re backing a single, it’s likely that the odds will be above evens, as you’d need a higher stake to claim any worthwhile returns from getting behind low odds on just one outcome. If you were backing any number of Win Treble tips, it’s to be expected that selections will be in or around the evens mark, with some significantly lower, as you’d be unlikely to land it if all three selections were long odds. Accumulators are likely to have the shortest odds due to the fact that there’s at least six selections, with the weaker prices being made up for by some riskier alternatives.